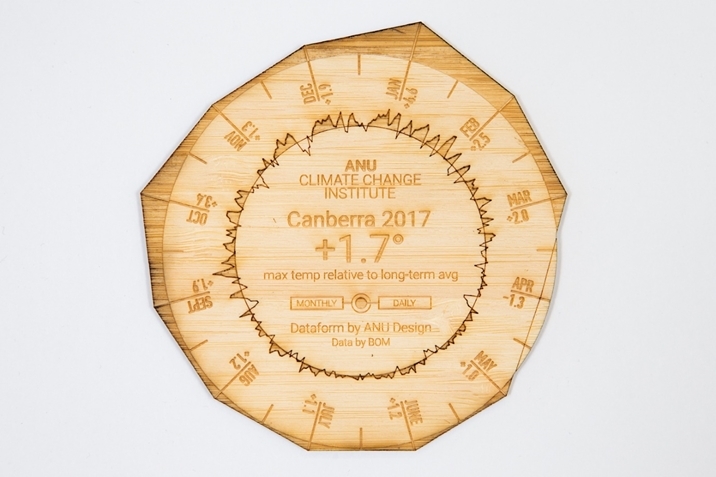 The CCI collaborated closely with Geoff Hinchcliffe and Mitchell Whitelaw at ANU School of Design to develop our ‘climate coasters’, a tangible visualisation of 2017 climate data in the form of a laser-cut bamboo coaster. Originally created for the Canberra and Brisbane Climate Update events, an interactive web version lets users generate coasters for over a hundred locations around Australia. The project was featured in the ANU Reporter, the Canberra Times and ABC Radio National. There have also been mass orders from various institutions. The CCI is taking a lead role in the development of a new cross-sector initiative: CO₂ Value Australia (an extension of CO2 Value Europe). The goal is to progress climate-friendly CO₂ use research and development. Dr Bec Colvin attended a Negative Emissions Conference in Sweden. Her presentation was featured in Carbon Brief. The CCI also sponsored the EF White Conference on Gas-Solid Interactions, hosted by the Research School of Earth Sciences. Dr Bec Colvin was on the organising committee. Prof Barbara Norman ran an exciting and well attended Canberra Urban and Regional Forum (CURF) seminar series covering urban health, sustainable cities and regions, urban renewal, green growth including an annual forum on community engagement in the region and collaboration with new partners such as National Gallery of Australia. Prof John Blaxland gave a talk “A Geostrategic SWOT analysis for Australia”, addressing climate change amongst a range of other factors to several conferences including the Australian Northern Defence Conference in Darwin in October, the ACFID conference in Sydney on 31st October and the TISN conference in Canberra in early November. 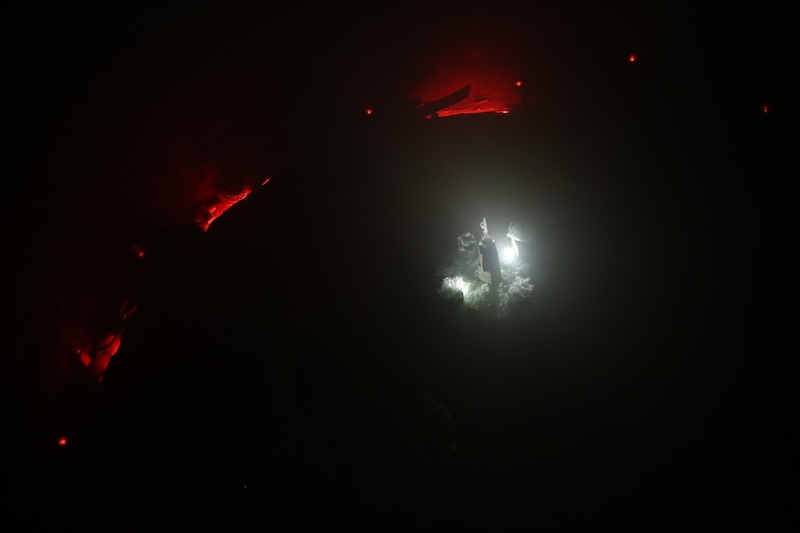 A Conference on Climate Change was organized for mid-September at the University of Goroka in Papua New Guinea. This follows a presentation on Climate Change and agriculture in PNG that Mike Bourke from ANU gave there in late 2017. Dr Steve Crimp and Dr Mike Bourke gave the keynote presentations. Steve focussed on climate change globally while Mike will talk about CC in PNG so far and implications for PNG agriculture and food security. Tom Worthington presented on Decreasing Campus Energy Use With Flexible Classrooms and e-Learning, for EduTech Asia 2018, Singapore, 9 October 2018. Dr Bec Colvin presented at the Canberra Writers Festival on Politics, power, and passion in science. Clare de Castella, CCI Communications Manager, gave a lecture on Climate Change Communications at the Environmental Institute of Australia & New Zealand (EIANZ) Learning to Adapt training in Wollongong in October 2018. Ruth Kharis presented to the EIANZ Climate change forum – How different domestic groups link climate change with Australian food policy 3 October 2018 at ANU. Clare de Castella has given two presentations on climate change at Garran Primary School as part of their Science Fair and one at Canberra Grammar School. Dr Grace Chiu proposed, designed, and delivered the inaugural National Youth Science Forum (NYSF) Session on Data Science in the 2018 NYSF Year 12 Program. The session illustrated the integral nature of Data Science to all STEM fields including Climate Science. Ngaio Fitzpatrick, an artist and Honorary Lecturer with the ANU Climate Change Institute is a 2018 recipient of an Australia Award Endeavour Fellowship. This allowed her to travel to Germany and work in discussion with both the Mercator Research Institute on Global Commons and the Potsdam Institute for Climate Impact Research on a four-month project. With special thanks to: Australia Awards Endeavour Fellowships, Berlin Glas, Mercator Research Institute on Global Commons and Climate Change, Potsdam Institute for Climate Impact Research and ANU Climate Change Institute.